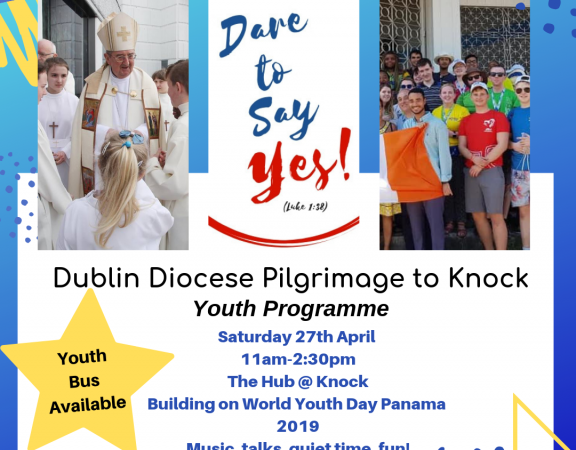 In January of 2019 I attended World Youth Day in Panama with the much appreciated support of DCU. I was in a group of 30 people from the Archdiocese of Dublin. It was a faith forming experience which will stay with me forever. We flew into Tocumen Airport at 9pm on the 18th of January after 24 hours of travel. We were all exhausted after the flight and the 28 degree heat and humidity hit us. Everyone squished into the back of a mini bus and set off towards the Parish of Santiago Apóstal where we would be staying for the next 2 weeks. The welcome we received when we arrived was unrivalled in my experience. An incredible array of colours, music and dance. The Parish’s community life is centred around their church. The families welcomed us into their homes with open arms and smiles on their faces. The language barriers meant nothing to them and they couldn’t do enough for us, waving at us in the streets, introducing us to their culture and sharing what they had with us, which, in some cases was little. We encountered Jesus everywhere through these kind people, who clearly strove to live the Gospel message, inspiring us to do the same. The messages we received from Pope Francis and the different members of the clergy, were a central part of the experience. The opening ceremony was a joyous celebration of our shared faith and the inspiring message from Archbishop Ulloa of Panama, reminded us all that we are the protagonists and the future of the Church, “We believe in you. We hope in you”, he said. “The change and transformation that humanity and the Church requires are in your hands”. These words were incredible to hear, strengthening our drive and hope to spread the Word of God and giving us the power to do so. At the opening Mass with Pope Francis, we were encouraged to embrace our differences and let them unite us in our faith, never letting go the fact that we are all the same, united in the truth of Christ. 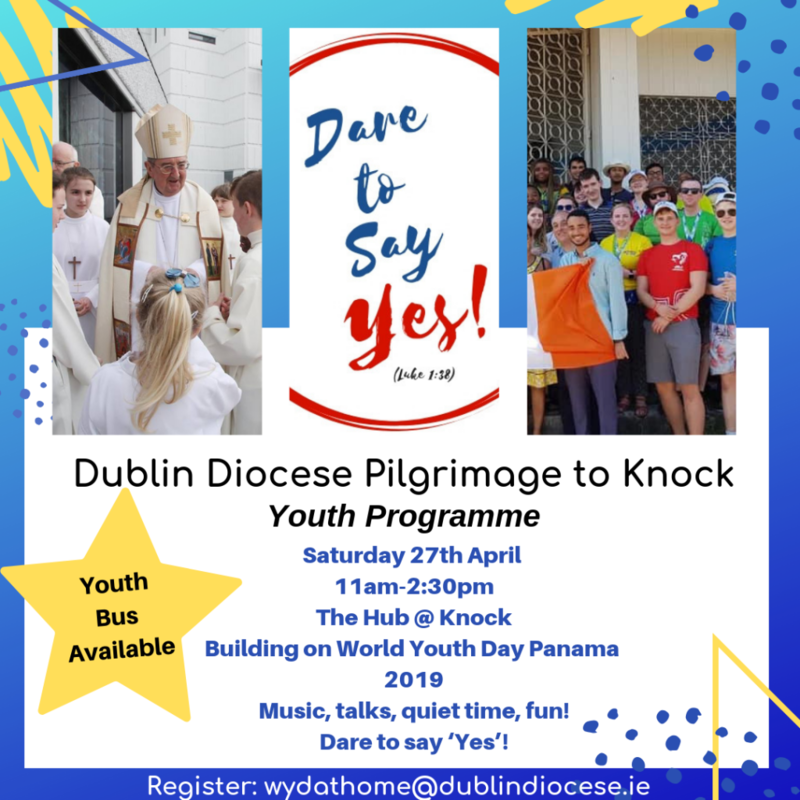 The theme of this World Youth Day was “Behold, I am the handmaid of the Lord; let it be done to me according to your word” (Lk 1:38) and Pope Francis encouraged us to follow Mary’s “Yes” to God, and say “yes” to letting Jesus into our lives. During World Youth Day itself, Panama City was alive with young people of different cultures from across the world. It was uplifting to meet so many young people of faith from all over the world who were there to share the same experience. 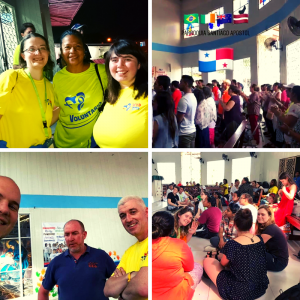 In our Parish we had catechesis with Australians, New Zealanders, Americans and Filipinos each morning, where we could share our experiences of our faith in our communities with different people. We were all shocked at how similar some of our experiences were but it was these connections and bonds which made World Youth Day such an incredible experience for me. WYD finished with the Vigil on the night of Saturday the 26th and it was, without doubt, the highlight of the entire pilgrimage. We walked for 3 hours from where we were staying to the vigil site and along this road the Panamanian people were out in their droves to see us off, some welcoming us into their home to give us water. That night we slept alongside 600,000 other young pilgrims. We spent the evening in song and joy, meeting new friends and celebrating our Faith. World Youth Day was a once in a lifetime experience for me and I really cannot imagine anything rivaling it. It is something which I would recommend to any young Catholic.